This is a quick overview of the main cities to see outside of Istanbul. It’s a follow up to the earlier posts on Planning a Visit to Turkey and Orienting Yourself in Istanbul. Like both of those, it was written in conjunction with Kate Bloomer. Flights: Internal flights in Turkey are very reasonable. If you book in advance you’re looking at roundtrip for under 100 TL (US $65), but even last minute you’ll be able to get good deals. Bulucak.com is an aggregator for internal Turkish flights, though it doesn’t always work. We’ve flown Anadolu Jet, Pegasus Airways, AtlasJet, Sun Express and Onur Air and they’ve all been legit (and much more comfortable than Easyjet/Ryanair). Train: The train network in Turkey is slow and far from comprehensive, but that doesn’t tend to matter to people who are considering taking the train. There are apparently some lovely overnight options to Kayseri (near Capadoccia), Konya, or Ankara, though the former two do fill up so be sure to book a day or two in advance. There are also some slower, atmospheric (read: rather dingy) services to Van and Kars in the east. Bus: most buses are extremely comfortable coach buses with a personal TV and attendants who will bring you tea and nibbles. Metro and Ulusoy often have Wifi as well. Since buses are mostly used by locals, it’s a great way to get a sense of the country outside the tourist enclaves. Car: Highways are generally very good and international signage makes it easy to navigate. Car rental is quite cheap but gasoline is EXTREMELY expensive – count on paying more for gasoline than the car rental. 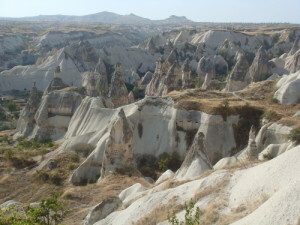 Cappadocia: This was the first place I visited after Istanbul and the first I’d recommend. The area has plenty to do for the active – from walking through the beautiful Ihlara Valley, visiting underground cities and rock cut churches, and wandering through the fairy chimneys. The Goreme Open Air Museum (15 TL, 8 TL additonal for the Dark Church) contains more than 30 rock-carved churches and chapels with amazing frescoes dating from the 9-11th century. I highly suggest staying in Goreme, and if possible at the Kelebek (www.kelebekhotel.com) , where the owner Ali has a beautiful boutique hotel that’s actually built inside a fairy chimney (as well as a nice buffet breakfast included in the reasonable price). The view from a hot air balloon is supposed to be incredible, but comes at a (probably reasonable) price of around 120 euro. Fly or take the train to Kayseri or Nevsehir, where a hotel bus will pick you up. Ephesus: Flights are available to Izmir, and from there you can take a bus or often hotels will provide a shuttle service to Selcuk (approx. 55 km), the closest town to these stunning Hellenistic ruins. Ephesus is a marvelous sight and well worth visiting – you can walk through in about 2 hours, it costs 20 TL to get in. In Selcuk you can also visit the House of the Virgin Mary (Meryem Ana Evi), 10 km south on the hills. As you might guess, this supposedly the house where the Virgin Mary spend her last days in Ephesus. The Vatican declared this place an official Catholic pilgrimage site. The Museum of Ephesus, which contains objects found in the excavation, is well worth a visit. The most famous of the camel wrestling matches also takes place in Selcuk in January. Olympos/Lycian trail: stretching along the Mediterranean coast west of Antalya (1 hr flights from Istanbul usually 70 lira or less) is a gorgeous string of ancient Greek and Roman towns, many with magnificent ruins. The ruins at Olympos are located in a national park (that includes a lovely stretch of beach), and it’s very popular to stay in bungalows or treehouses (literally, forts in trees – only recommended in the summer!) when you visit. 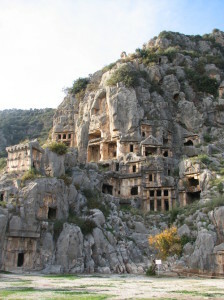 Myra, about an hour west, features tombs cut into cliff faces, a well-preserved theater, and the church where St Nicholas was bishop (most people don’t realize Santa Claus was Turkish!). We haven’t been to Kekova, an island off the coast where you can swim among the ruins of a sunken city, but it’s supposed to be lovely. 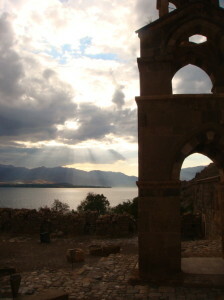 On the other side of Antalya are the also-stunning ruins of Aspendos, Perge, and Sitra. They’re great out of season but can get a little overrun in the summer (apparently – we’ve only been in January). It’s easy to visit all three sites in the course of a weekend if you stay in the old city of Antalya and rent a car (which we did for 50 TL a day in January 2012). Cyprus is completely underrated in our book. Breathtaking Crusader castles, monasteries, Greek and Roman fortified towns, beaches and wild greenery – did we also mention delicious wine and seafood? See more details in the previous entry on Cyprus. Flights from Istanbul are absurdly cheap and frequent. The Aegean beach towns on Bodrum and Cesme peninsulas range from bucolic heaven to ritz and glitz to package holiday hell. 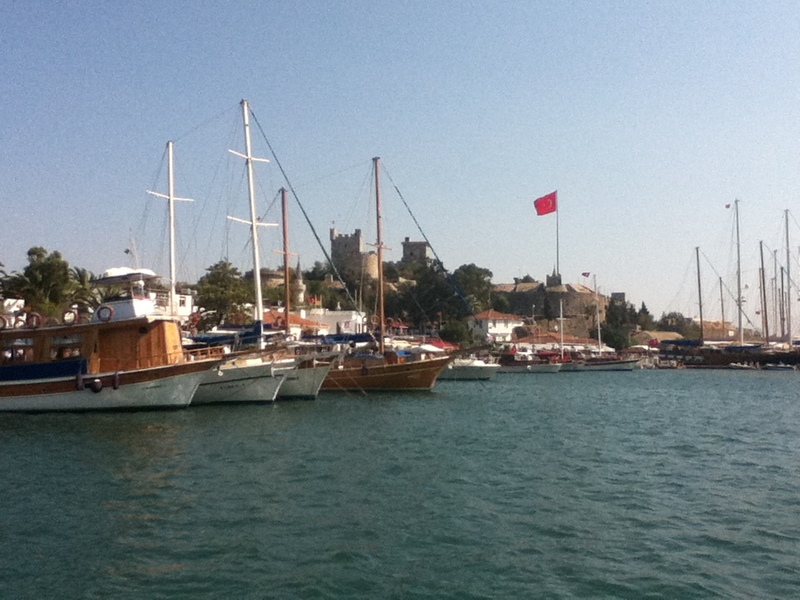 In both places, having a car is probably sensible, as it costs about 50 TL/day whereas a taxi ride pretty much anywhere will likely cost you twice that (Bodrum peninsula is well served by minibuses, but they all connect through Bodrum town, which can be tedious). Only stay in Bodrum town if you are nostalgic for the days of sweaty frat parties or that trashy stag/hen do you might have once attended. Turkbuku, on the other side of the pensinsula, has some fun clubs, including the see and be seen Macikizi (rooms go for 400-800 euro a night here, but amazingly there’s no cover if you’re just coming to party at the bar). Cesme is more Turkish – better deals, more flavor, but ever so slightly more difficult if you aren’t tagging along with someone who knows their way around. The cobble-streeted, landlocked Alacati is definitely the jewel in Cesme’s crown, full of boutiques and excellent restaurants – a bit touristy, but gets points for being mostly undiscovered by foreigners. 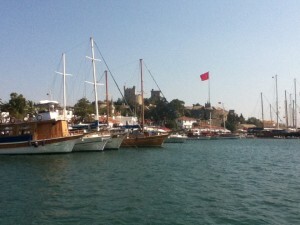 Plenty of nice beach clubs – or just undeveloped stretches of beach – are a quick cab or drive from Alacati. Pamukkale: accessible from Izmir, this is the site of an ancient spa and hot springs used since the second century BC, and though you’re not llowed to swim in them anymore you’ll still be amazed by the naturally formed white calcium pools. The adjacent Roman city and Amphitheatre of Hieropolis are stunning. 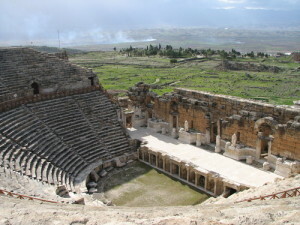 Day tours from Izmir are offered for around 45 Lira (as of January 2010) including English-speaking guide, entrance fee to Hierapolis and the travertines (this alone costs 20 Lira if you’re going independently) and buffet lunch. Konya: How many cities are known for dancing but offer no nightlife? The important Muslim mystic, poet, and founder of the whirling dervishes, Rumi, settled here, and his lavishly decorated tomb (the Mevlana Museum/Mausoleum) is one of the more important pilgrimage sights in the Islamic world. Other attractions include the 13th c Iplikçi Mosque, where the final sultans of the Selcuks (the Turkic tribe which invaded Turkey in the 10th century and was eventually succeeded by the Ottomans) came to rest, and Ince Minare Museum, a 13th century madrassah. You can fly directly to Konya airport from Istanbul or take on a three hour bus from Cappadocia. Kars/Ani: The city at the heart of Orhan Pamuk’s Pulitzer-Prize winning novel wins no beauty prizes, but gets some points for its castle and a handful of architecturally interesting buildings. 45km east, however, is (to our minds) the most evocative and beautiful place in Turkey: the ruins of the ancient Armenian capital of Ani. Perched on the edge of a gorge at the border of Armenia and Turkey, the ruins (many of which are 1000+ years old) deserve at least a full day of exploring. Bring a picnic of the deservedly famous Kars cheese, honey, and some vegetables that you can pick up at any street market in town – there is very little tourist infrastructure. *Kars, and especially Ani, can be inaccessible due to snow in winter and very hot and dusty in summer, so best to visit in spring/fall*. Hostels in Kars run tours, but we’re happy we rented a car and had the flexibility to travel onwards to Doğubeyazıt, a city at the foot of Mt Ararat (where Noah’s Ark supposedly came to rest after the flood), where the splendid İsakpaşa Palace marks the junction of Turkey, Iran, and Armenia. Four hours further south (and served by its own airport) is the important regional capital of Van. Peppered with Armenian and Georgian churches, historic temples and mosques, the city was hit by a massive earthquake in October 2011 so I’m not sure how feasible it would be to visit in the near term. I Like Your Article …. Thanks for sharing this short information of cities with us…… Nice Blog …..